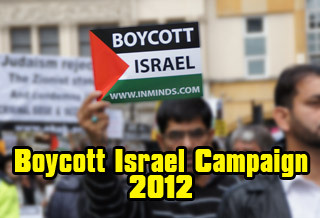 Boycott Israel News: Why Boycott Strauss? 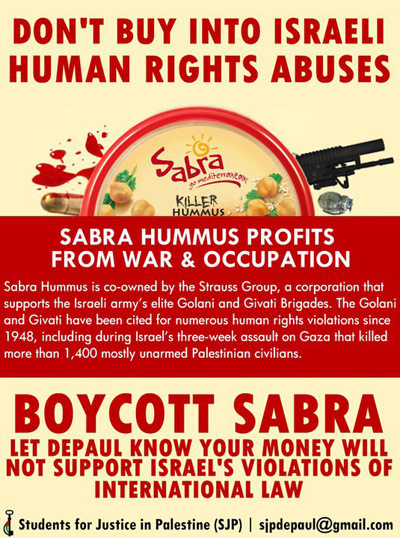 The Palestinian Boycott Divestment Sanctions (BDS) movement was given an unlikely boost last month with strident calls in Israel to boycott the Strauss Group after two months of protests outside the homes of its company's executives including its chairman, Ofra Strauss. BDS activists looked on bemused by the sweet irony of a 'solidarity' that committed the cardinal sin of anti-semitism - boycotting Jewish businesses which has long raised the false spectre of Nazi comparisons. 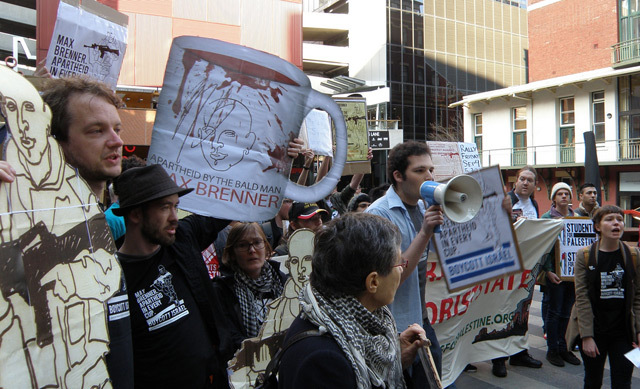 When Australian BDS activists targeted Strauss' Max Brenner outlets last year, Australia's now ex-prime-minister-ex-foreign-minister joined the anti-boycott fray with a politically motivated sanctimonious statement, ''As an individual citizen - that is me, K. Rudd - I am here because I object to the boycotting of Jewish businesses''. So why were angry Israelis calling for boycott against the Jewish Strauss company? Well, not because the Strauss Group, Israel's second largest food company with a turnover $1.8 billion, is complicit in Israel's illegal occupation by its close links to the most brutal high-tech military in the world that controls, in collusion with secret police, Mossad and Shin Bet, the indigenous Palestinians under a system of rule by terror at checkpoints, by arbitrary arrests, (100,000 administrative detention orders since 1967), by extrajudicial killings, the ruthless dispossession of homes and land for colonial expansion, harsh apartheid policies including Jews-only roads and the illegal Annexation Wall, massive bombardments by drones, Apaches and F16s. The suffering, torment and trauma that is the Palestinian tragedy, has, since the Nakba, redefined the humanity of the Israel and its military regime. Strauss proudly broadcasts its corporate responsibility to a mission that provides "our soldiers with support, to enhance their quality of life and service conditions, and sweeten their special moments. We have adopted the Golani reconnaissance platoon for over 30 years and provide them with an ongoing variety of food products for their training or missions, and provide personal care packages for each soldier that completes the path. We have also adopted the Southern Shualei Shimshon troops from the Givati platoon with the goal of improving their service conditions and being there at the front to spoil them with our best products." Not because the elite Golani and Givati brigades committed war crimes and/or crimes against humanity to the dishonour of Israel. In the 1982 Lebanon War, Golani soldier lit flares to assist the Phalangist death squads to massacre Palestinian men women and children in the Sabra and Shatila refugee camps deemed an act of genocide by the UN. Or that the Golani Brigade led a vicious offensive against the Jenin refugee camp in 2002 demolishing hundreds of homes while burying some Palestinians alive and killing terrified residents. Or that in 2004 a Givati commander callously murdered 13 year old Iman Darweesh Al Hams by firing two bullets at her head from close range while she was lying wounded on the ground. The commander returned to her body again and emptied his entire magazine into her body. He was charged, exonerated and promoted. Or that the Givati Brigade led the ground offensive against unarmed Gazan families in the 2008-9 Operation Cast Lead for which the UN accused Israel of war crimes in the Goldstone Report. Nor because of a report in February that stated "since the arrival of the Golani Brigade in Hebron on December 27th, international accompaniment organizations (Christian Peacemaker Teams, International Solidarity Movement, and others) have documented an increase in the number of serious human rights violations against the Palestinian people, particularly youth and children in the Old City and Tel Rumeida"
Neither was the public uproar calling for the Strauss boycott because..
Ofra Strauss (rumoured mistress of 'impartial' Quartet member, Tony Blair) sits on the board of HESEG along with high-ranking Israeli military and intelligence personnel. HESEG, an organization that provides scholarships and support for 'lone soldiers' who joined the IDF from outside Israel was founded by Canadian Zionist billionaires, Heather Reisman (Indigo Books) and husband Gerry Swartz (ONEX). On the board, alongside Ofra are General (Res.) Yitzhak Eitan: Chief Commander of the Israeli military in Gaza and the West Bank, and Head (GOC) of the IDF Central Command during the years 2000-2003; Shabtai Shavit: Head of Mossad (the Israeli foreign intelligence) 1989-96 and the controversial Major General (Res.) Doron Almog who was Commander of the IDF's Southern Command from 2000-2003. 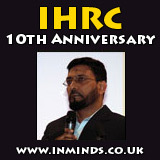 In 2005, he evaded a warrant issued in the UK for his arrest on suspicion of war crimes for ordering the demolition of 59 houses in Rafah, occupied Gaza, an act of illegal collective punishment under international law and on 22 July 2002, for ordering a one-ton bomb to be dropped on a home in Gaza to assassinate Salah Shehadeh killing 15 people, including 9 children. The Athlone team includes Lt. General (Ret.) Jay Garner, who served in the U.S. military for 35 years, including command of Air Missile Defense Units in the Gulf War. In 2003 he was appointed by President Bush to lead the post-war reconstruction effort in Iraq. Oliver "Buck" Revell, a former Deputy Director of the FBI. Ephraim Halevy, former director of Mossad and Chairman of the National Security Council of Israel and special advisor to the Prime Minister on National security and Moshe Horev, who headed the Israel Ministry of Defense R&D Division, the Avionics and Armament Division and the Guided Weapon system program office of the Israeli Air force. He is a former CEO of Hewlett Packard and is currently the CEO of Oracle Systems Israel Ltd which has a longstanding strategic partnership with the IDF as one of the IDF's main suppliers of computer solutions. Former president and CEO of Strauss Group Ltd, Erez Vigodman joined Makhteshim Agan Group in January 2010 which is 40% owned by Nochi Danker's Koor Industries. Maketish Agan is a pesticide factory located in the Ramat Hovav industrial zone that pollutes its environs with hazardous waste including Wadi el-Na'am, a village of more than 5,000 Bedouins. "In a 2004 study commissioned by the Israeli Ministry of Health found a high rate of birth defects among children living in the vicinity. In August 2006, Ben Gurion University epidemiologist Batya Sarov, formerly a specialist at Chernobyl, compared the environmental monitoring and health risks to Chernobyl." Ofra Stauss sits on the executive of The Jewish Agency which was established by the World Zionist Organization (WZO) in 1929 founded on the commitment to warrant "The unity of the Jewish people, its bond to its historic homeland Eretz Yisrael, and the centrality of the State of Israel and Jerusalem, its capital." It acts as agent of the government in assigning land to illegal Jewish colonists in the Israeli-occupied territories. Chairperson of the Board of Governors is American billionaire James S Tisch who is also president of the Jewish Communal Fund which channels donations to right wing groups in West Bank colonies such as "Amitz, which funds settler militias; Magen Yehuda, which assists with military training for settlers; and Women in Green, a right-wing group which opposes the return of land captured during the Six Day War of 1967 and promotes the "transfer" of Arabs to neighbouring countries." So what woke up the Israeli public? What ignited the fierce fire in Israeli bellies to battle Strauss with the boycott weapon? It wasn't a profound human empathy with Palestinian suffering. It wasn't a righteous contempt for the state's implacable military occupation. It wasn't a principled action to end Israeli profiteering of and complicity in the illegal occupation. It wasn't the noble demand that Israel comply with international law and exit its illegal colonies on stolen Palestinian land. No, it was the injustice that the price of Strauss candy is higher in Israel than in the US! - Dr. Vacy Vlazna is Coordinator of Justice for Palestine Matters www.palestinematters.com She was Human Rights Advisor to the GAM team in the second round of the Acheh peace talks, Helsinki, February 2005 and was coordinator of the East Timor Justice Lobby as well as serving in East Timor with UNAMET and UNTAET from 1999-2001. She contributed this article to PalestineChronicle.com. Mossad Assassins Were Financed by U.S. Banks.